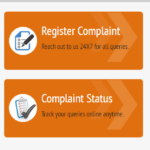 The image shown below is the screenshot of KSEB Online Portal registration page. 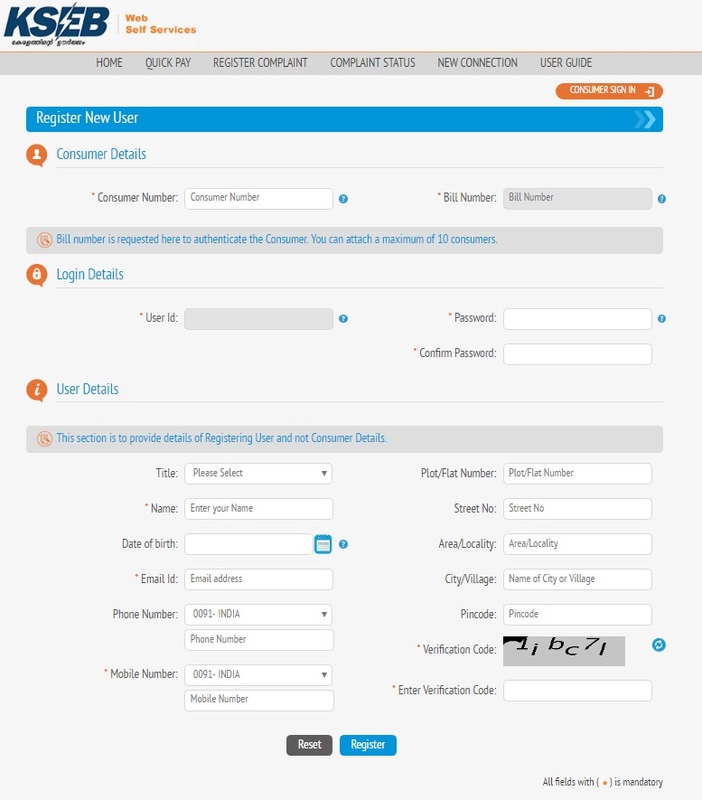 The numbered items in the above image are mandatory for KSEB Online Portal Registration. Others are not necessary, you can fill up all if you want. 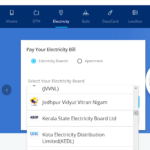 If you have the hard copy of your latest KSEB electricity bill in hand, you can see the bill number on it. If you don’t , follow below link to view your latest KSEB Bill. Can contain alphabets and numbers, should not contain special characters like *,%,&,@ etc. Length should be at least 6 characters. Length should be between 8 and 12. Should contain at least one character, one number and one special character. Verification code is used for checking whether you are a real person or not. Type the characters of the image on the left side in the text box in the right side. There are some more items in the registration page, these are not necessary for registration. You can fill these up if you want. 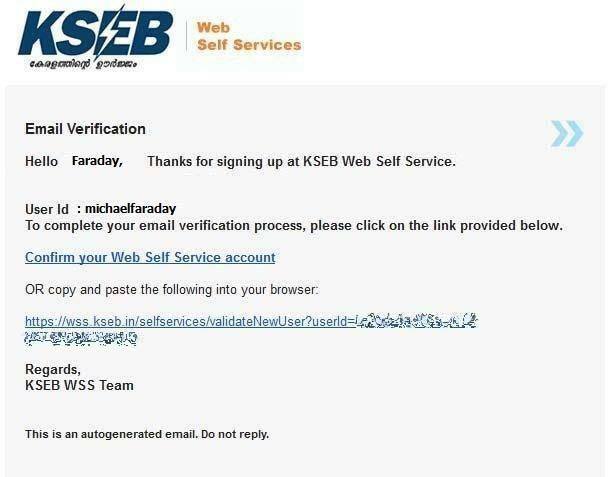 For verifying your email address, KSEB will send an activation email to your registered email address. Open the activation e-mail. There will be an activation link for activating your account. Click on ” Confirm your Web Self Service account ” or copy and paste the next link in your browser address bar to activate your account. Your account is now activated. Click on ” Back to Login ” to go to KSEB Online Portal login page. 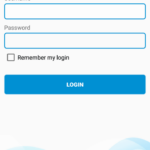 Type your user name and password there and click ” Login ” to log in to your KSEB Online Portal Account. 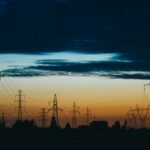 For detailed instructions to pay KSEB electricity bill after registration, follow below link.